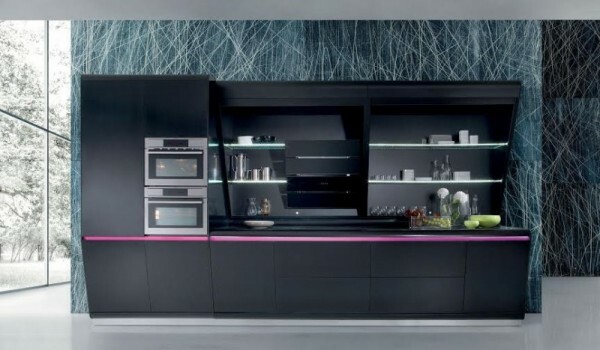 Kook is the incredible kitchen created by Karim Rashid for Rastelli. As the designer describe it, it is characterized by a clean striking surface that is punctuated by splashes of strong color. «For the Kook kitchen – Rashid explains – I wanted to create an innovative design to turn even the most challenging culinary endeavors into pure aesthetic pleasure». 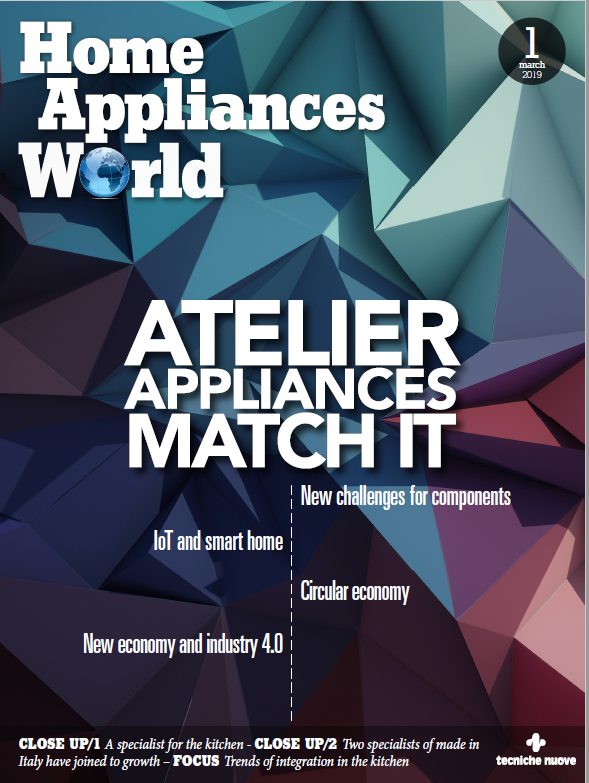 This model can be transformed, opening the cabinets to give expansive views of all that is to offer and then shutting them when the meal is done making a minimal and uncluttered kitchen. Rolling shutters reveal LED edged shelves and built-in hood above the hob. Utilizing the angled cabinet, larger items can be stored at the top while smaller, more readily used items on the bottom making cooking a breeze. 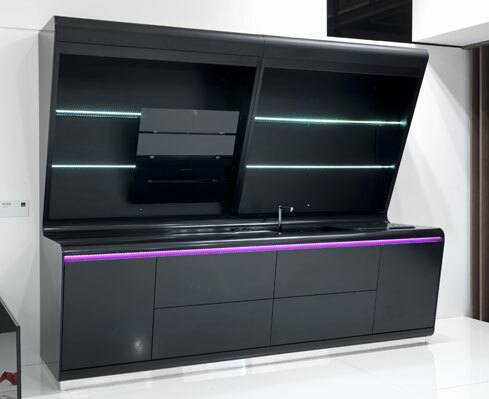 The pressure opened bottom cabinets are accented with colored LED strips and angled to allow an easy approach to the work surface. Kook also features a sink that can be hidden using a matching cutting board to make a continuous surface. The use of solid Corian on frameless doors gives life to a combination of technicality, solidity and aesthetic minimalism.